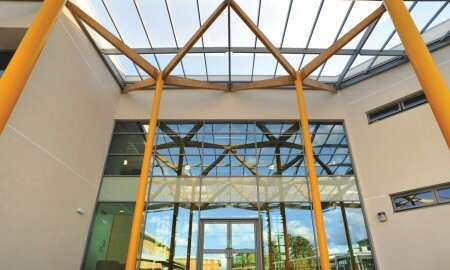 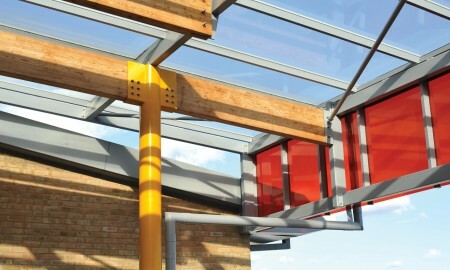 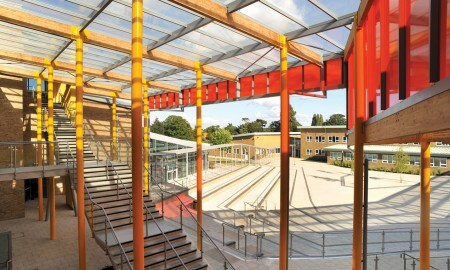 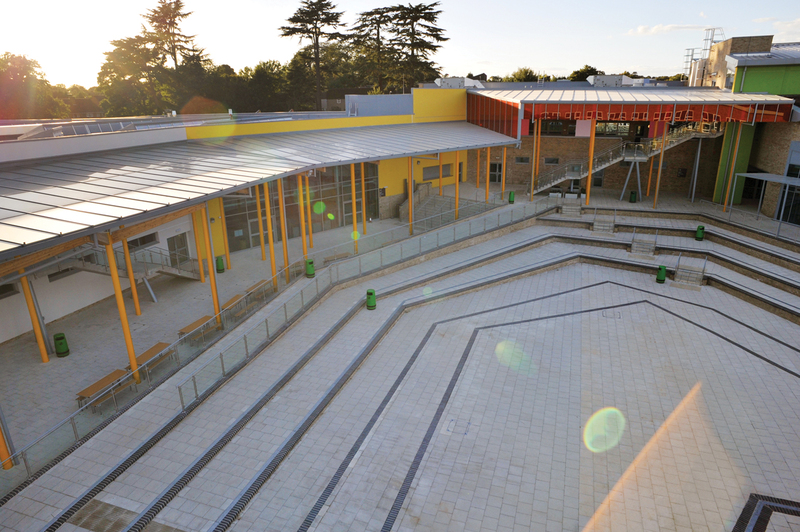 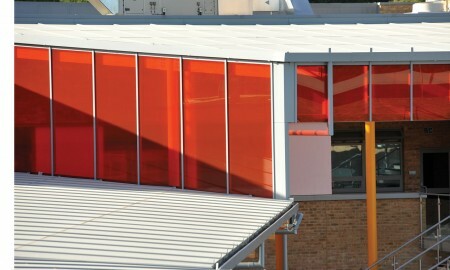 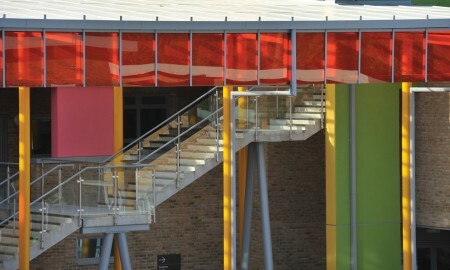 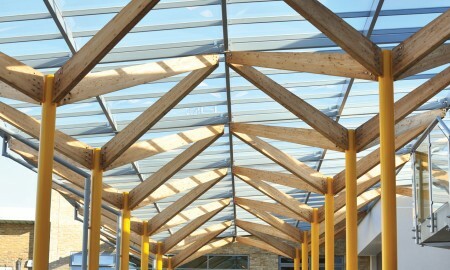 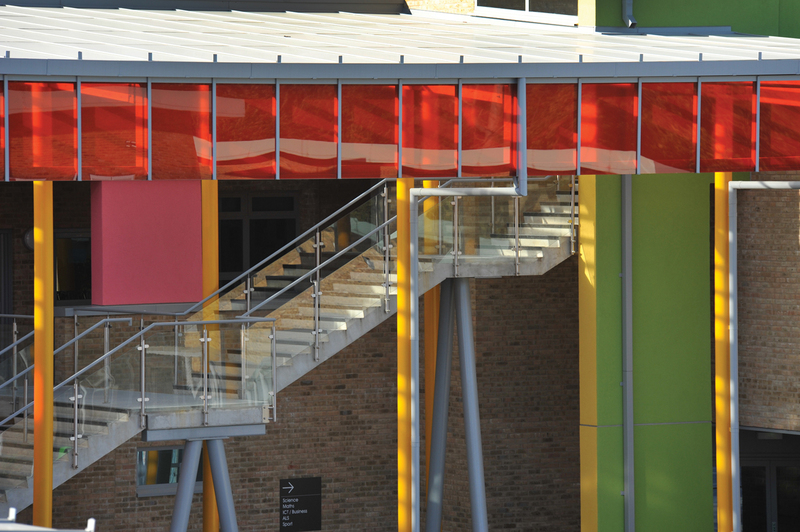 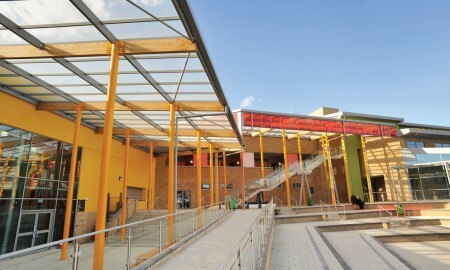 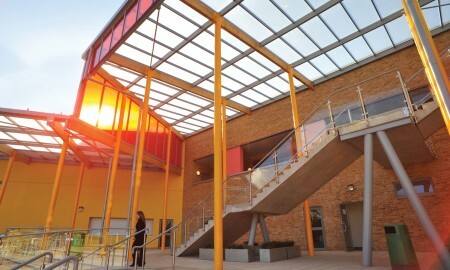 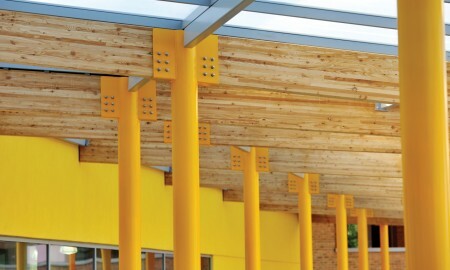 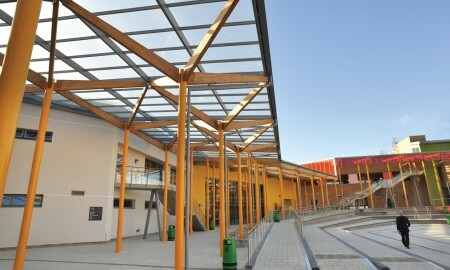 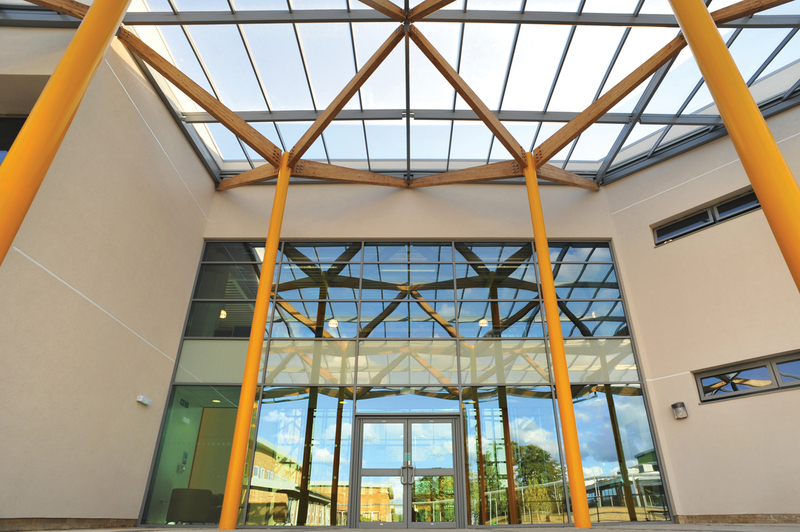 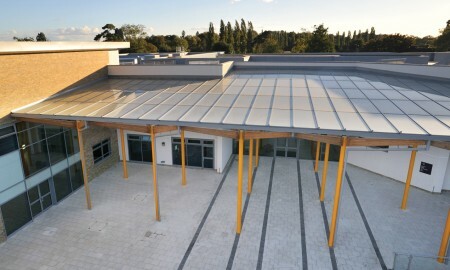 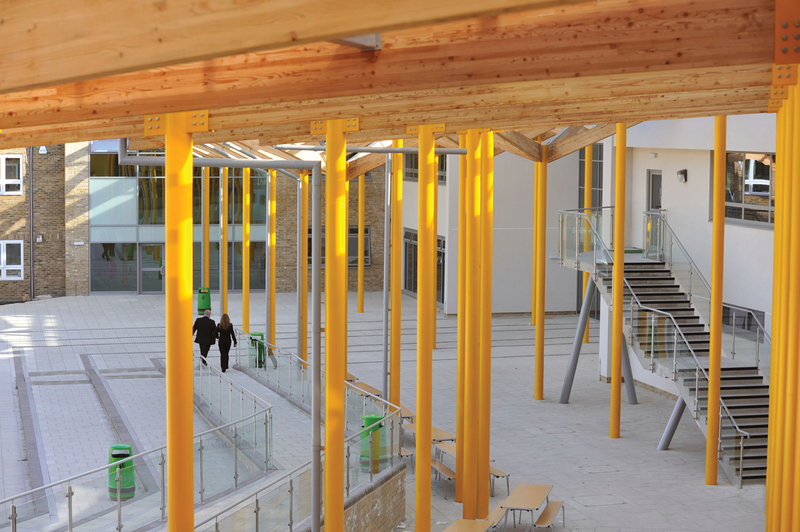 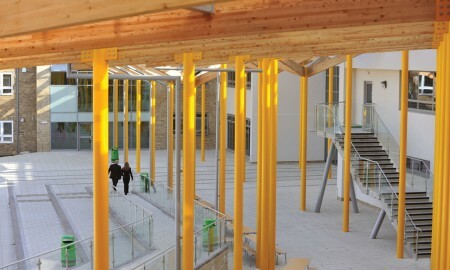 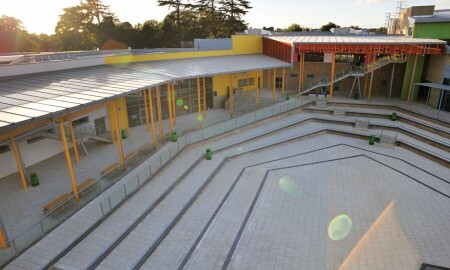 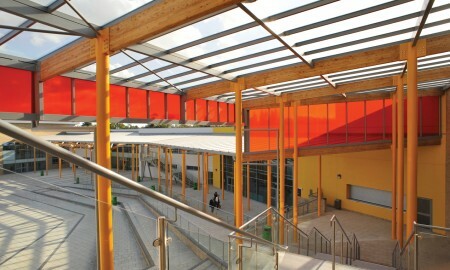 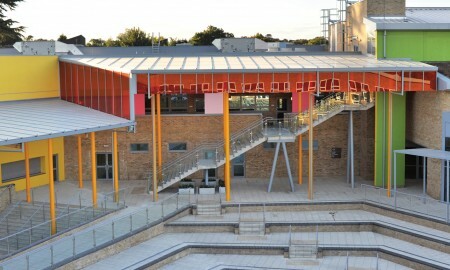 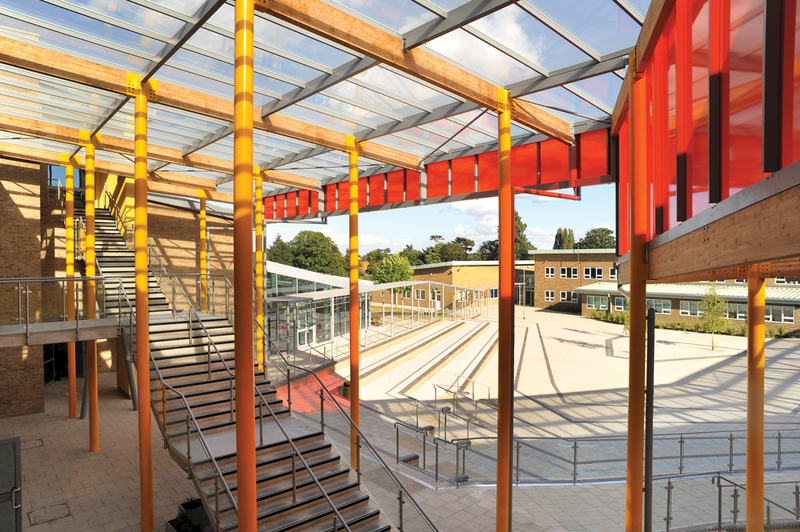 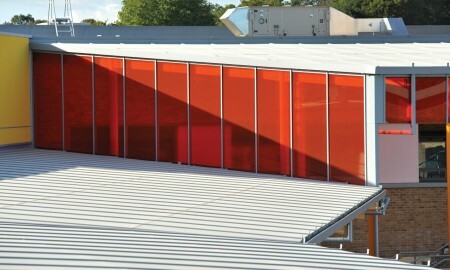 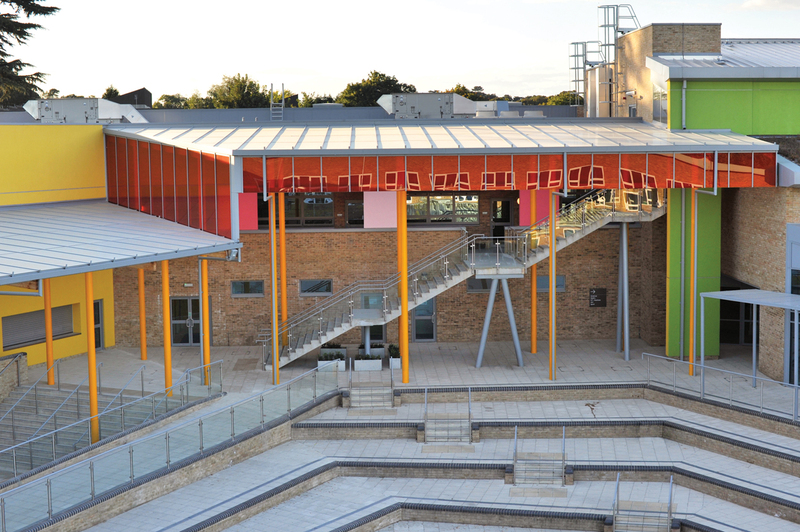 is situated within a landlocked courtyard running along the inner elevation of the academy’s new building. 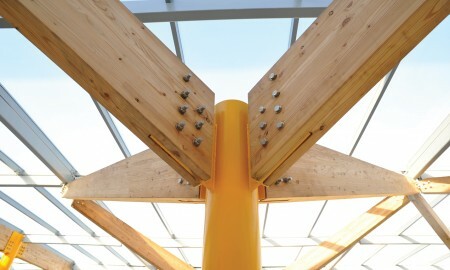 Before work began, a full-scale example of the sub-sections were test-built to ensure that their proposed method of construction would work in practice. 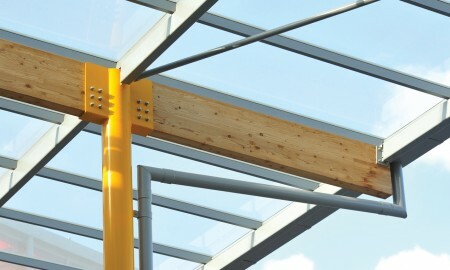 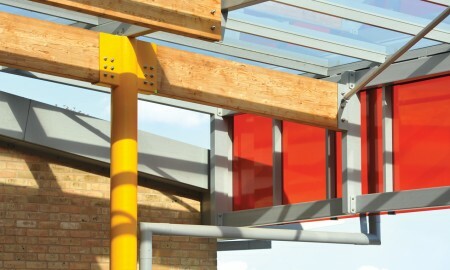 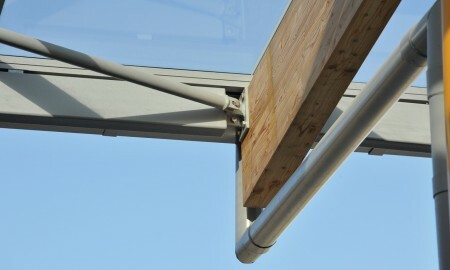 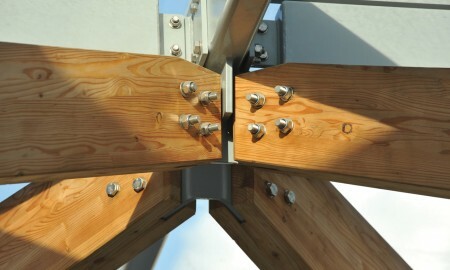 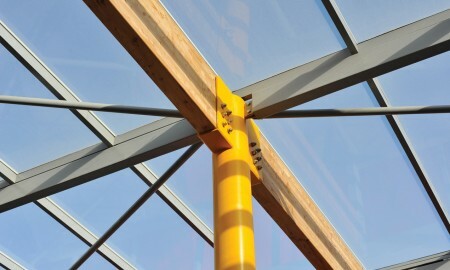 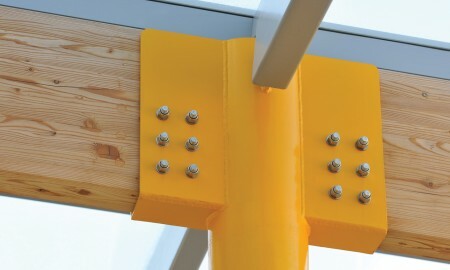 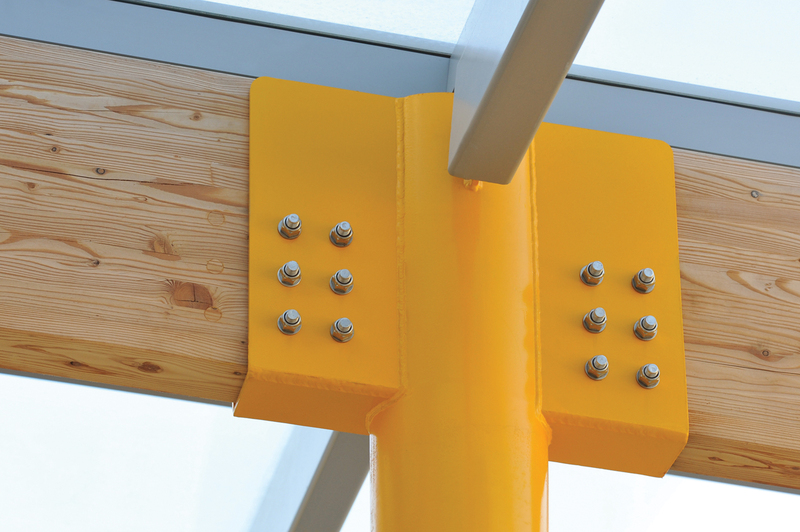 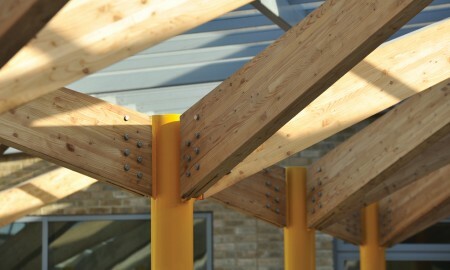 A crane, situated 100m away and on the other side of the building, was used to install the sections. 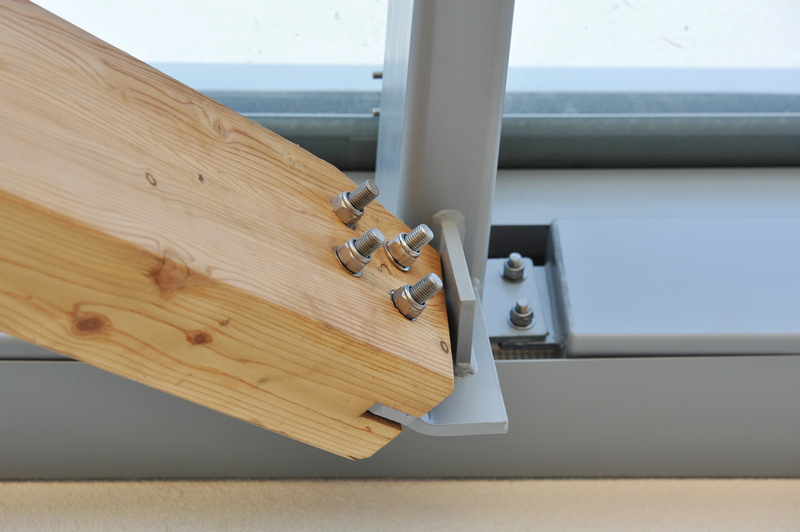 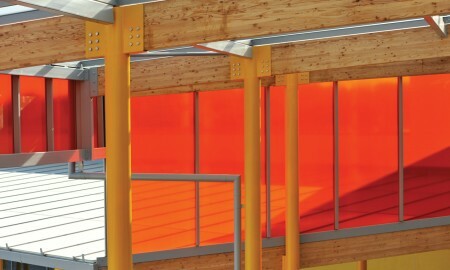 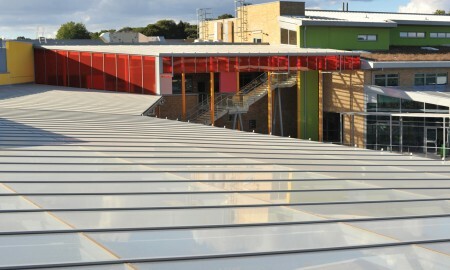 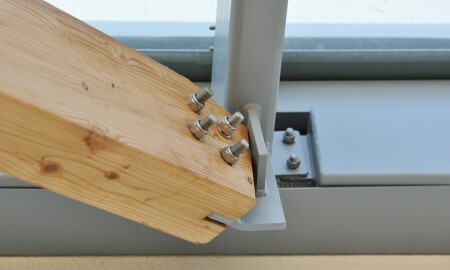 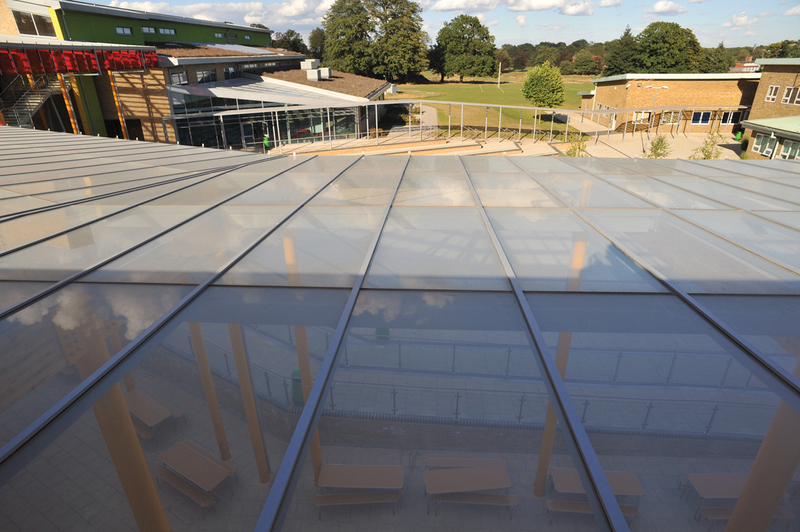 Glazing was installed via a mechanical lift, accessed by operatives from a temporary netting platform. 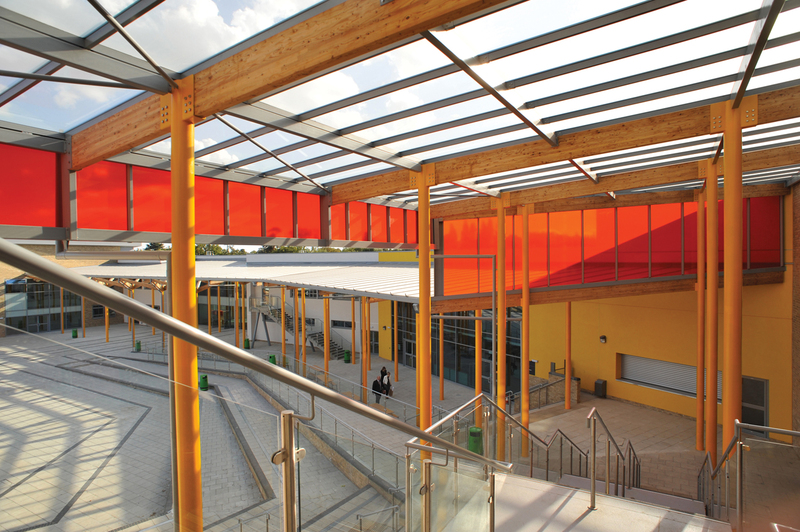 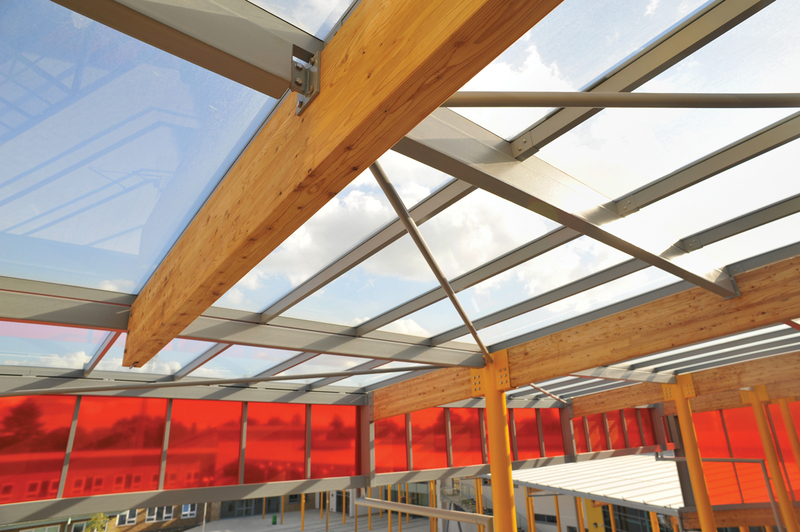 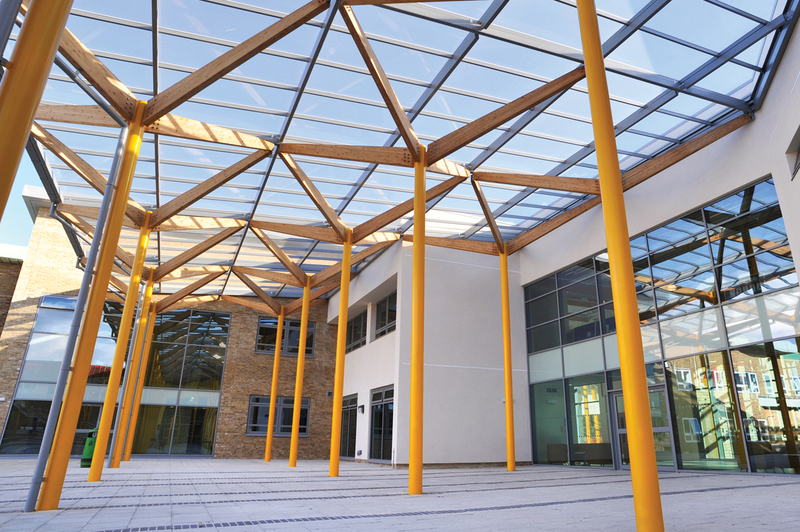 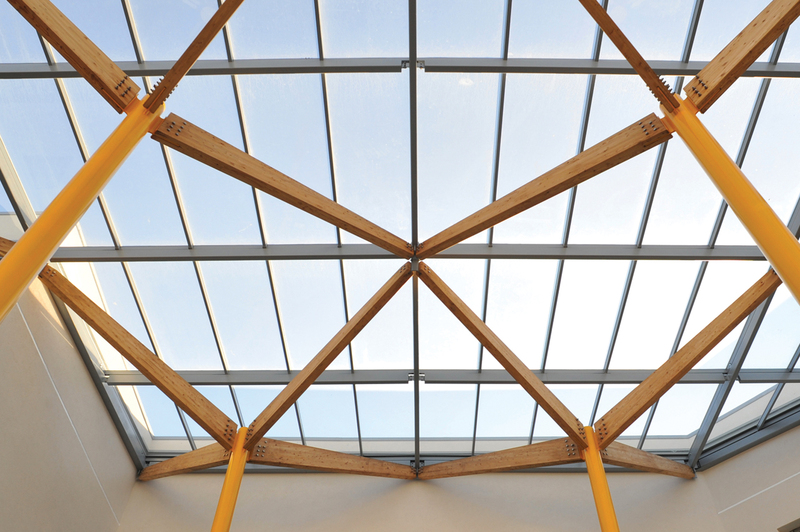 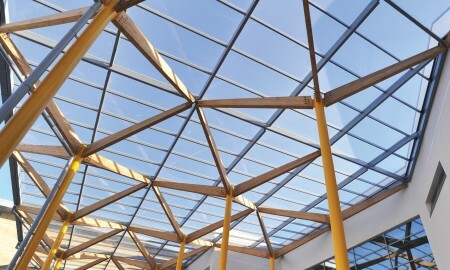 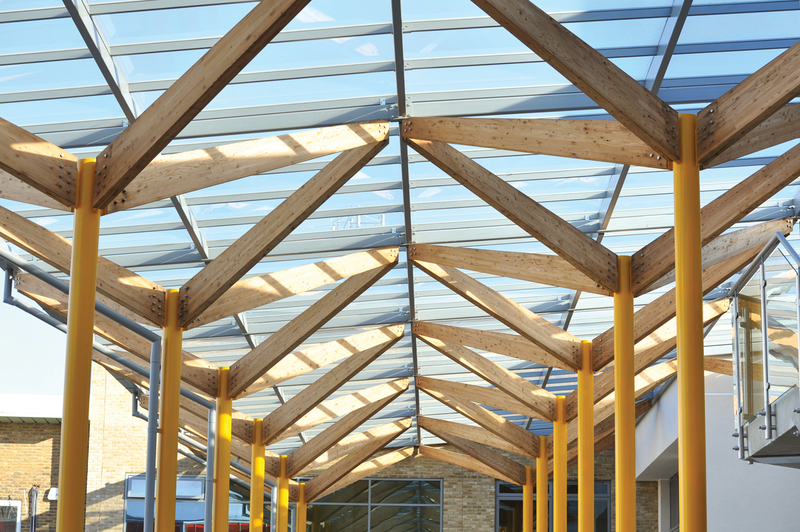 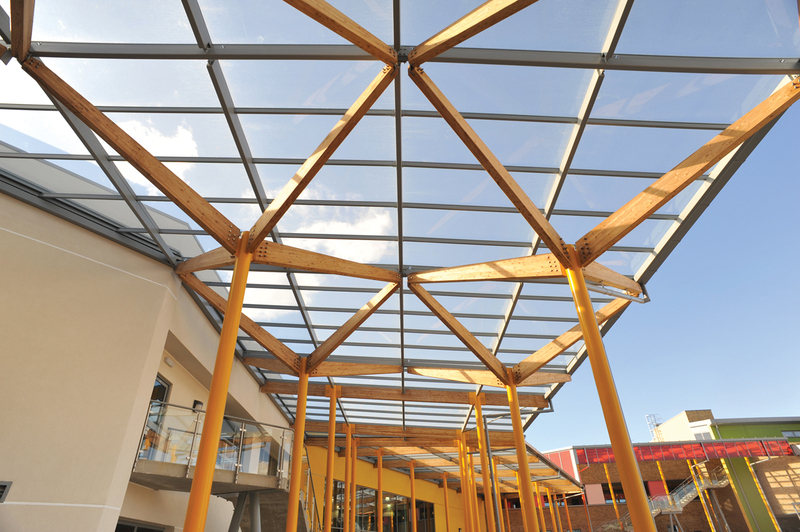 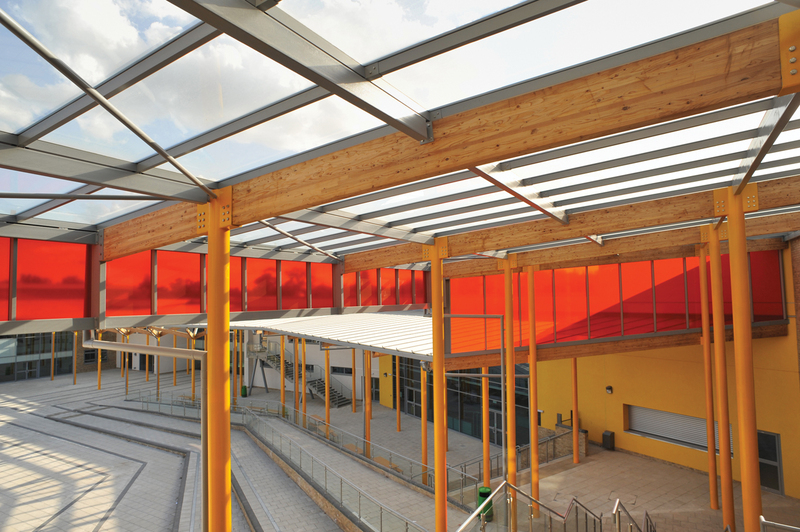 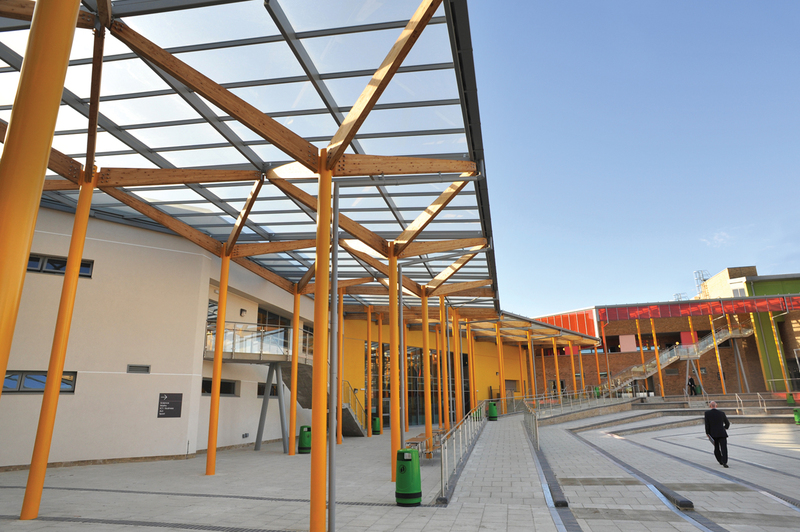 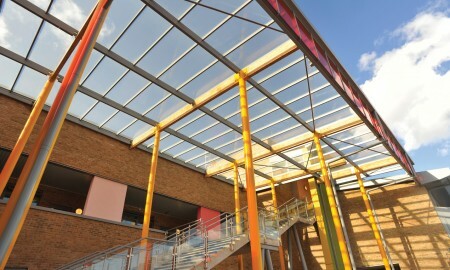 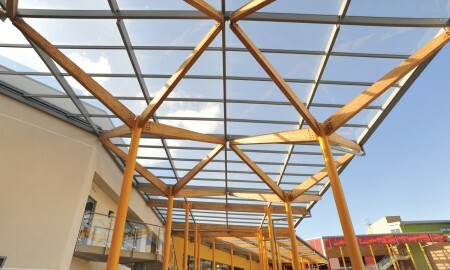 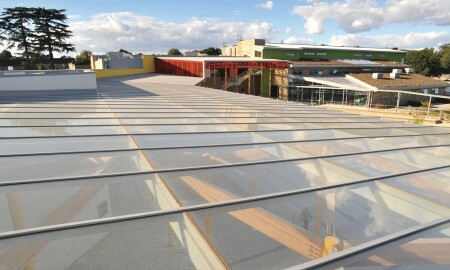 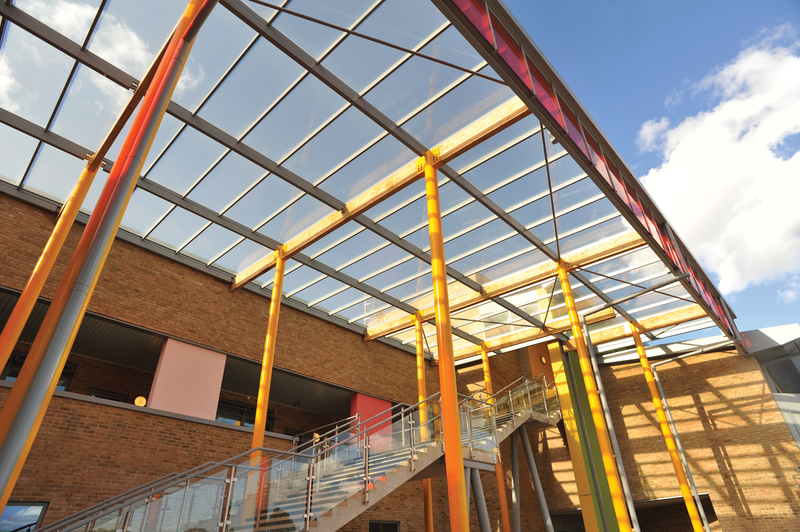 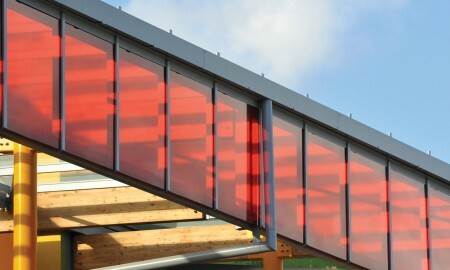 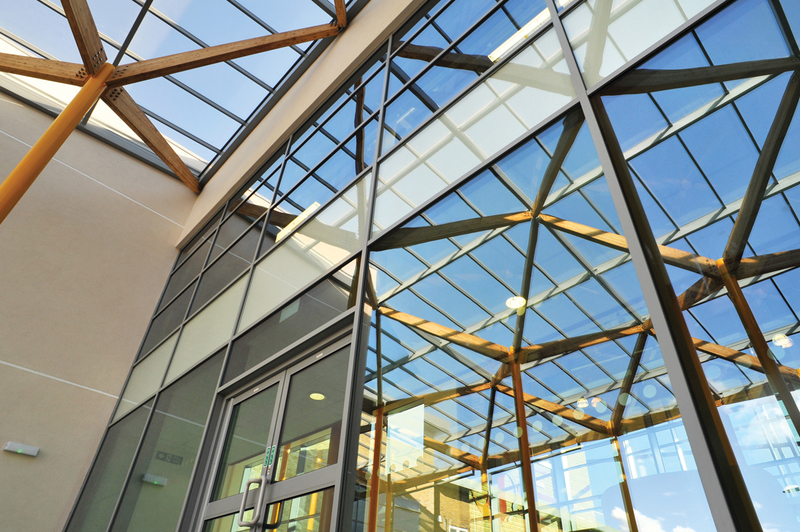 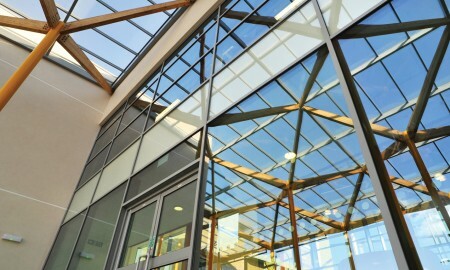 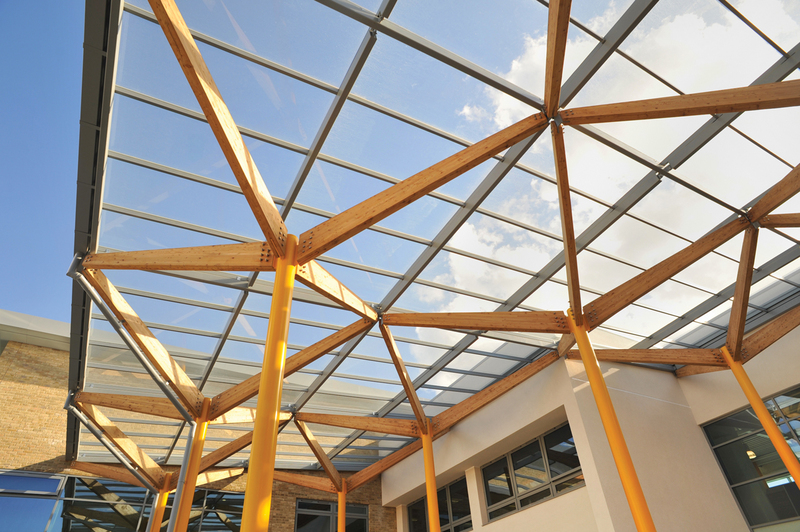 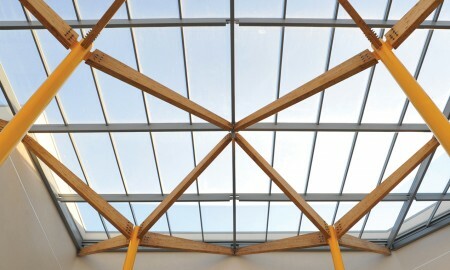 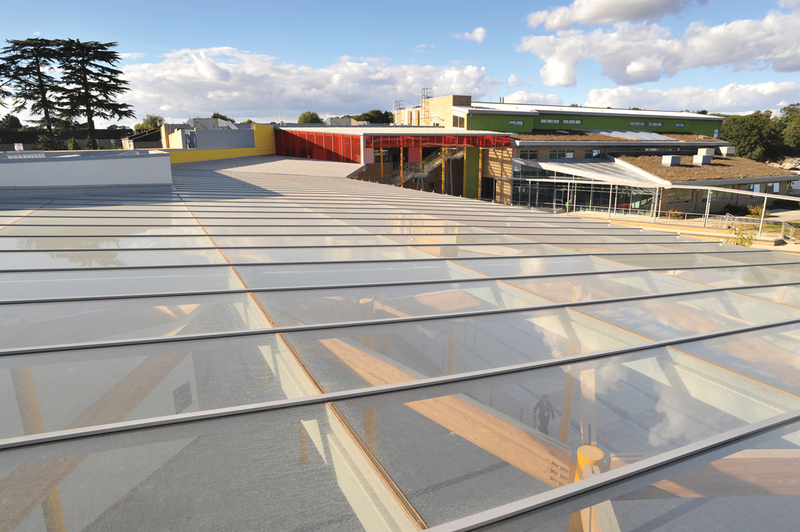 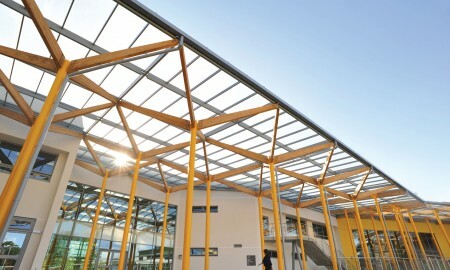 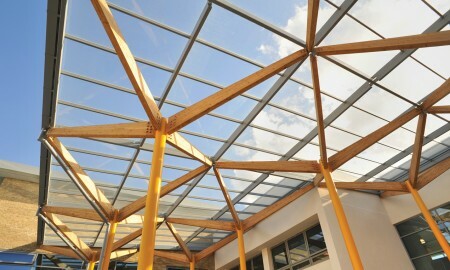 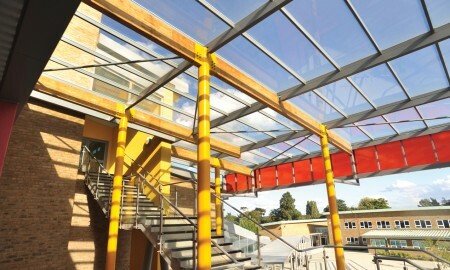 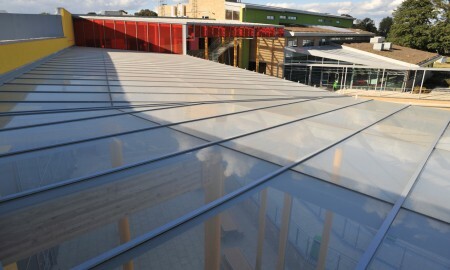 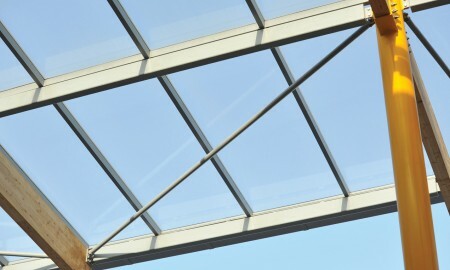 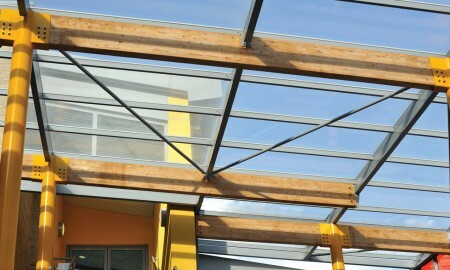 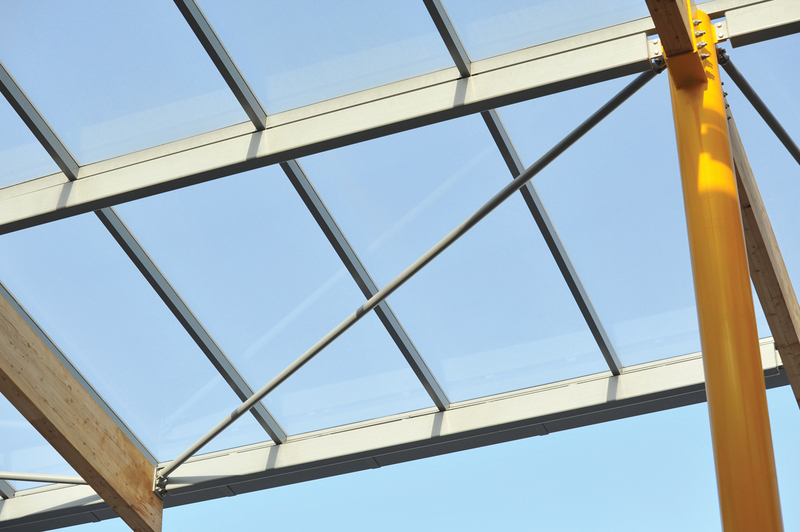 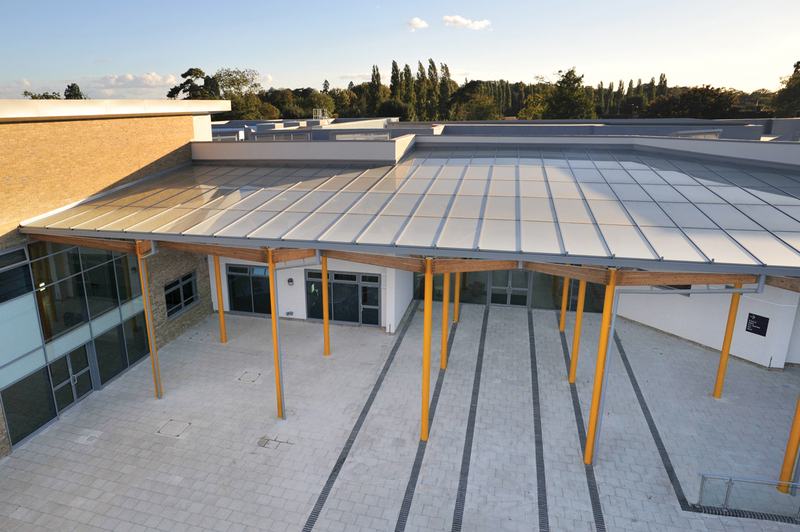 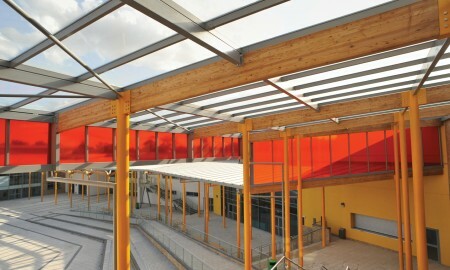 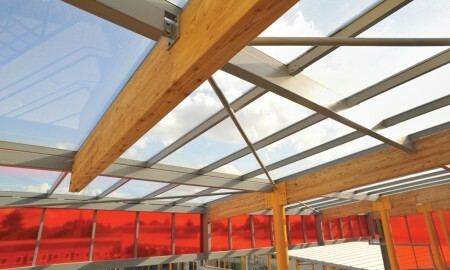 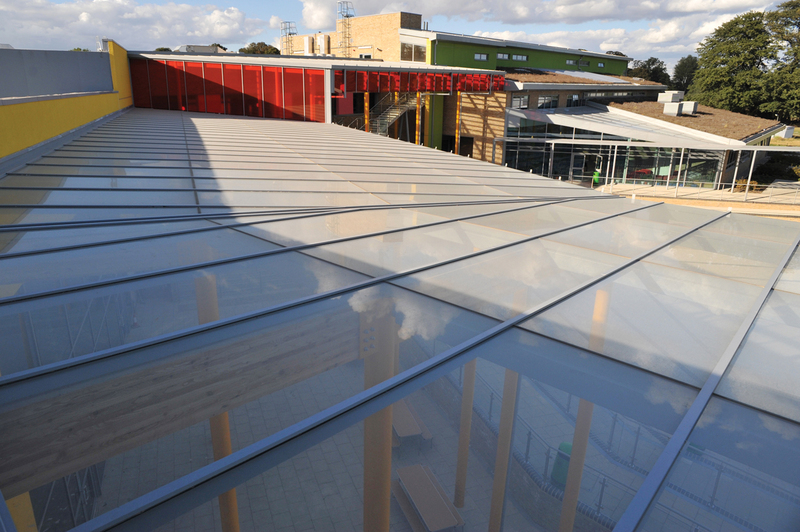 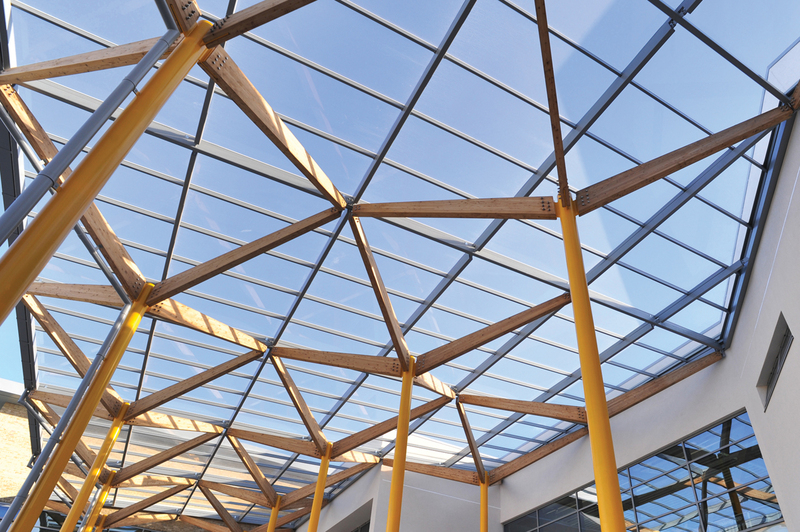 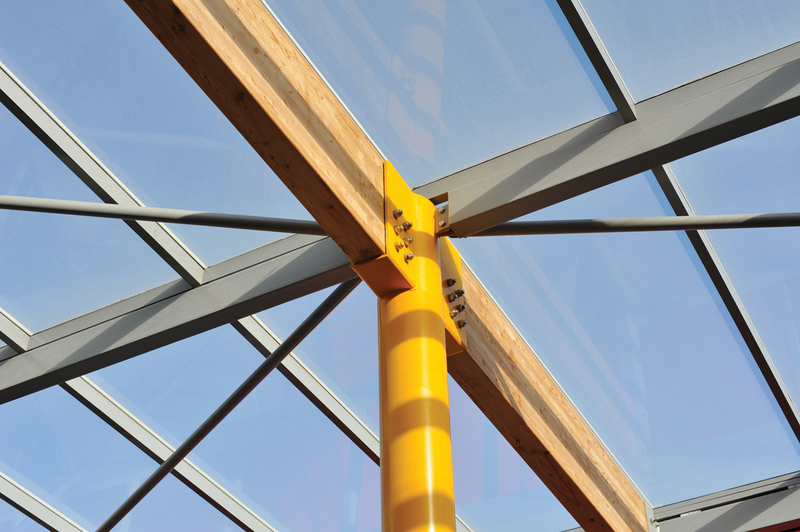 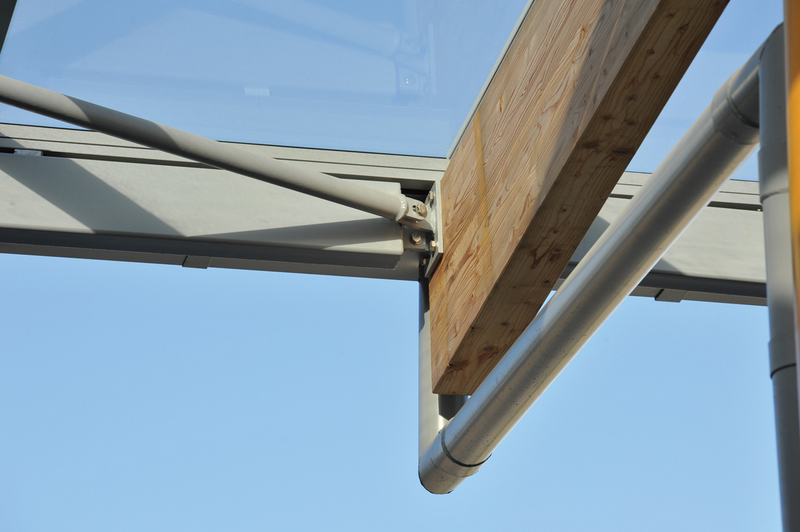 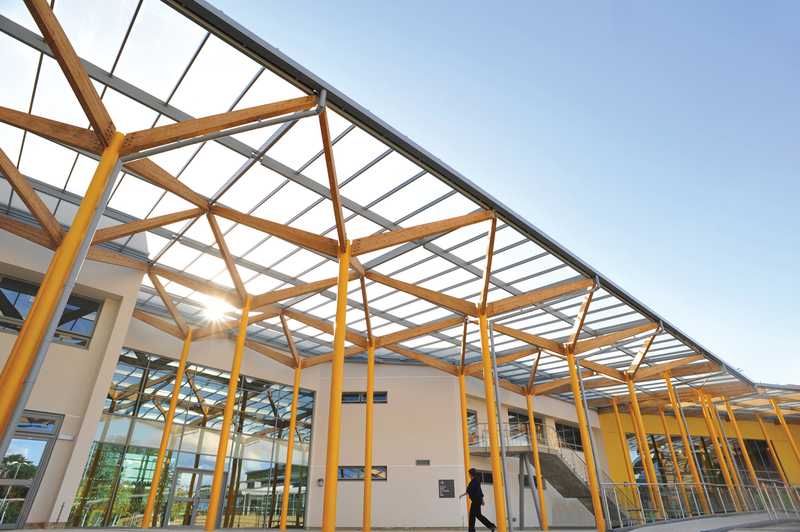 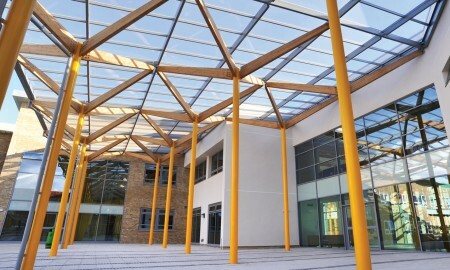 It is the one of the biggest single-roof glazed canopy that Broxap has built with 1200m2 of glass, measuring 10m high at the back, 10-15m in depth and approximately 90m in length. 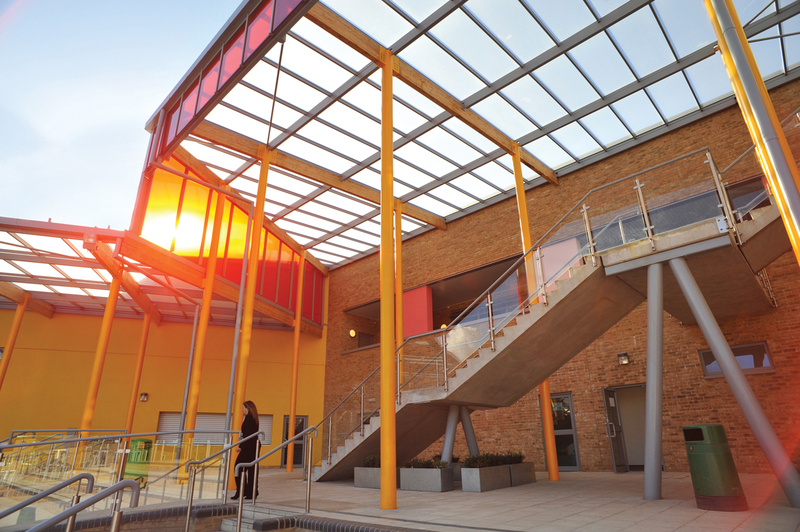 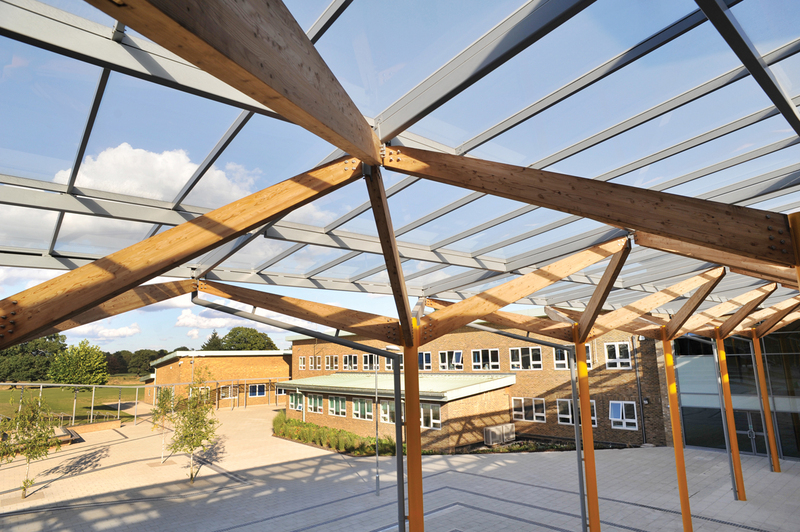 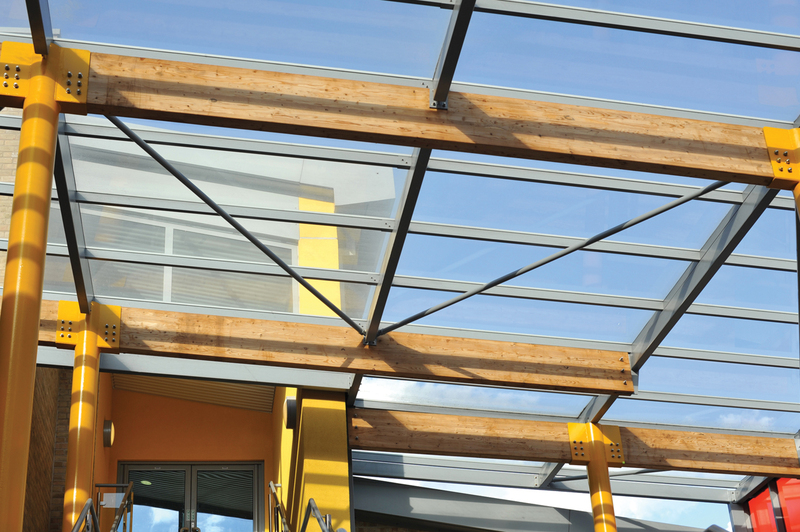 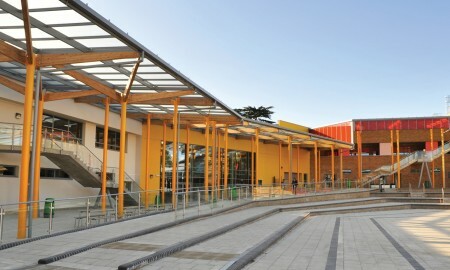 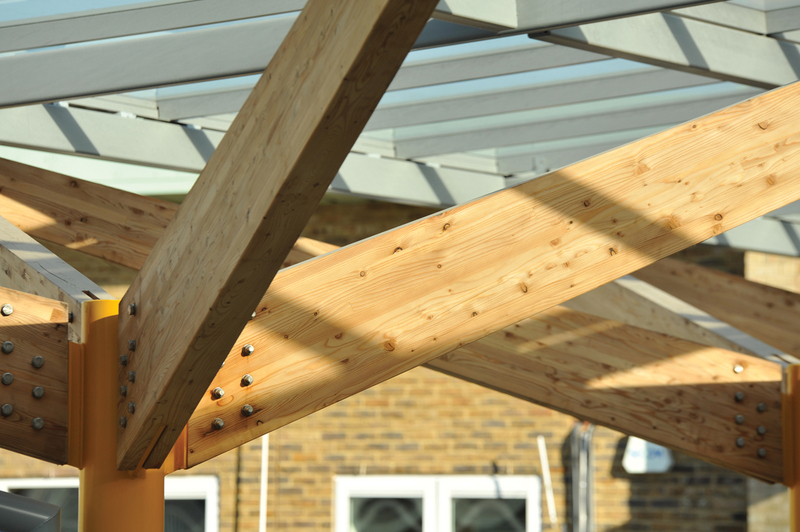 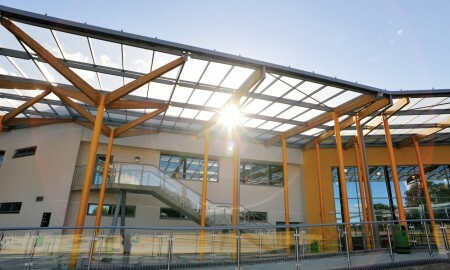 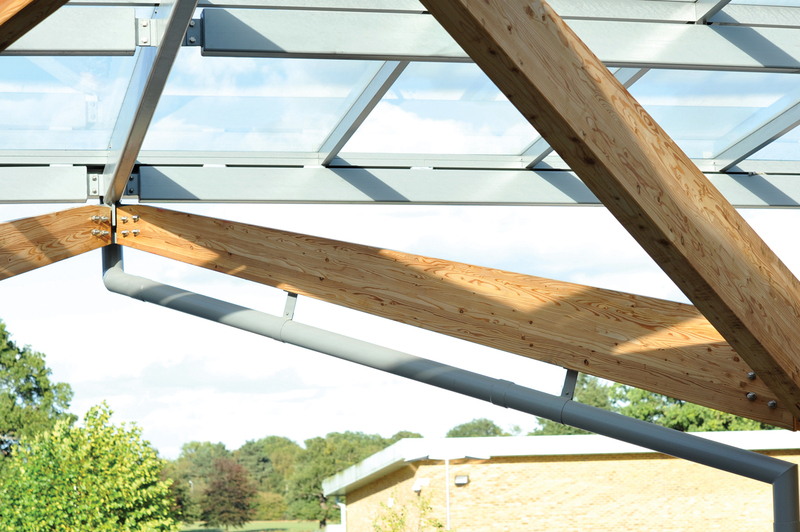 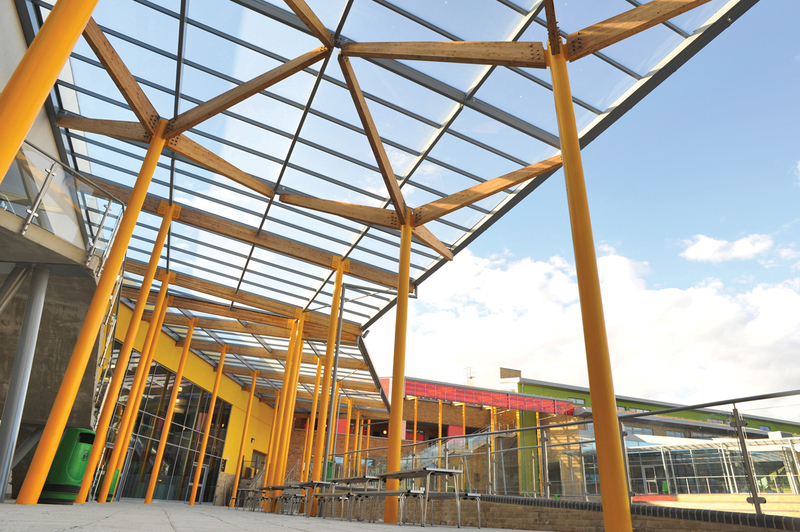 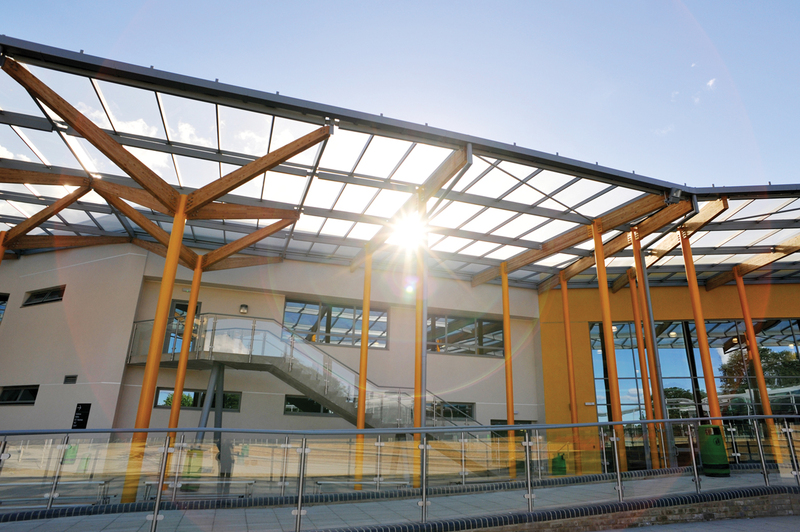 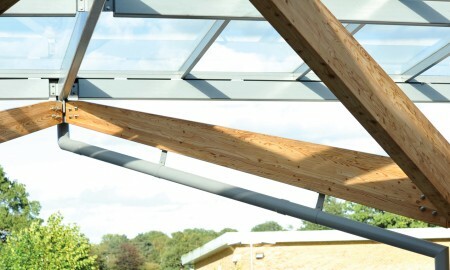 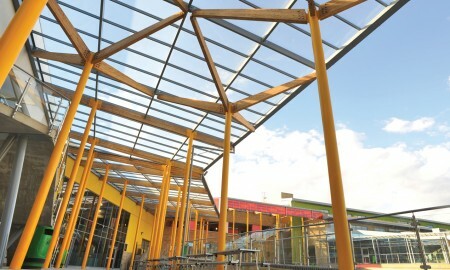 The rebuilding of Francis Combe Academy was to provide school places for 1350 pupils, which involved 80% new-build and 20% refurbishment. 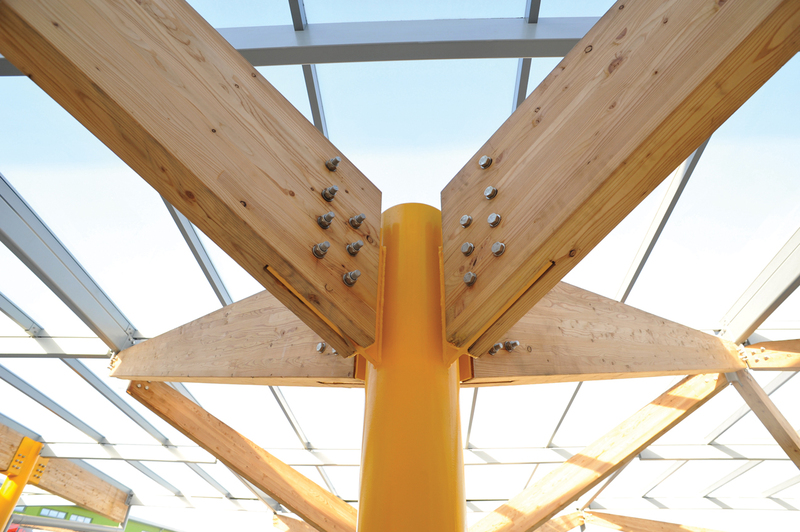 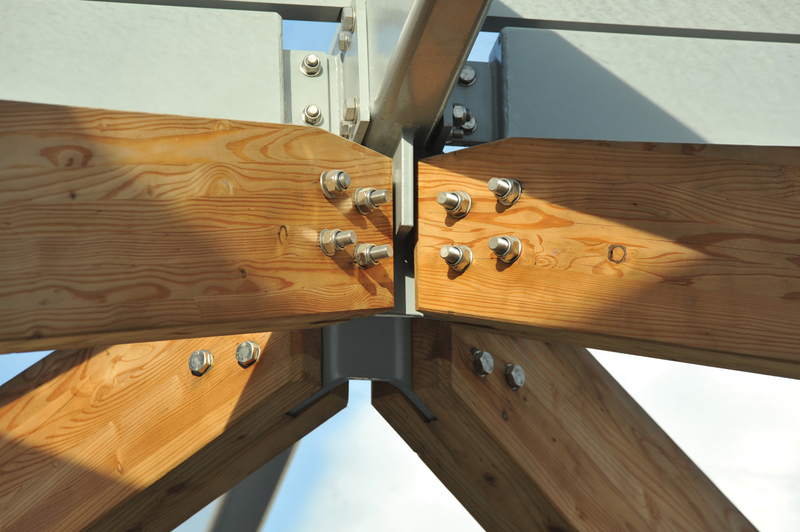 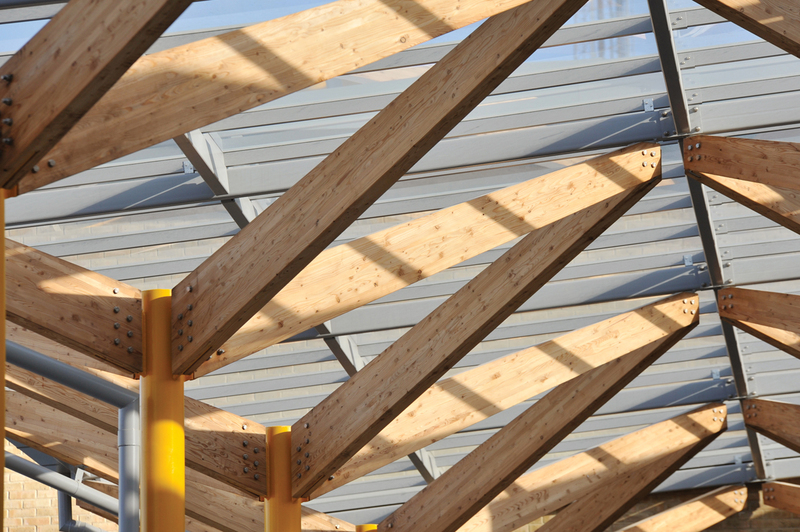 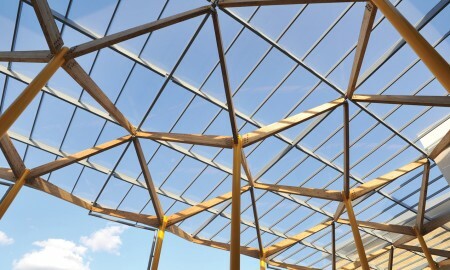 Within the design was an architect’s concept for a canopy featuring an ETFE (ethylene tetrafluoroethylene) roof. 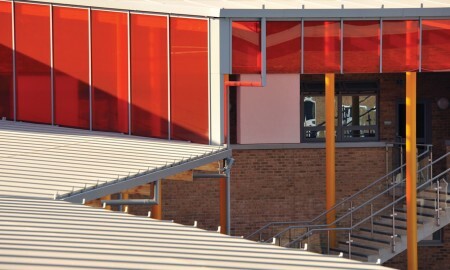 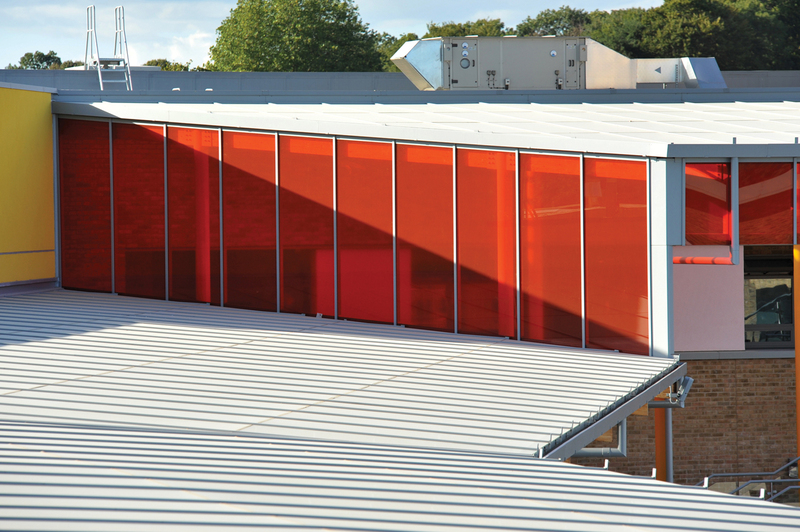 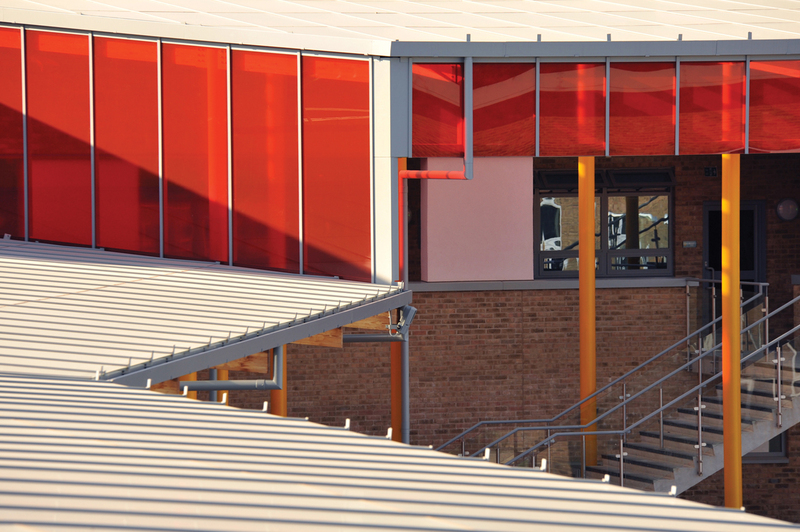 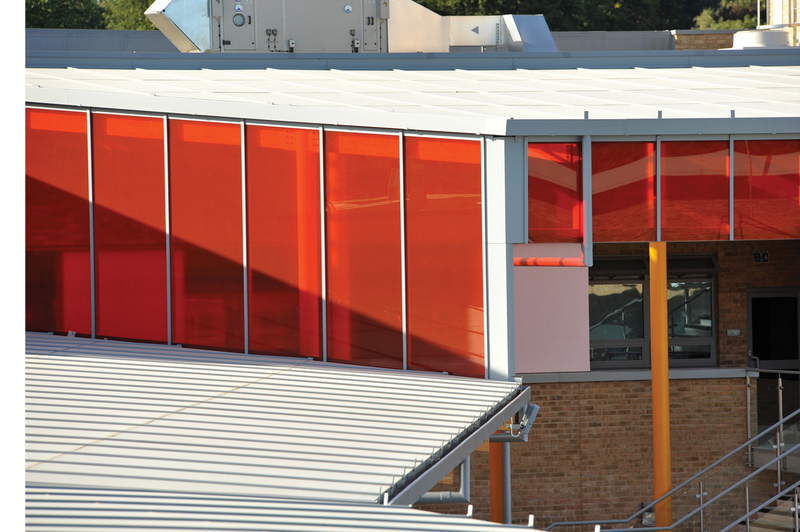 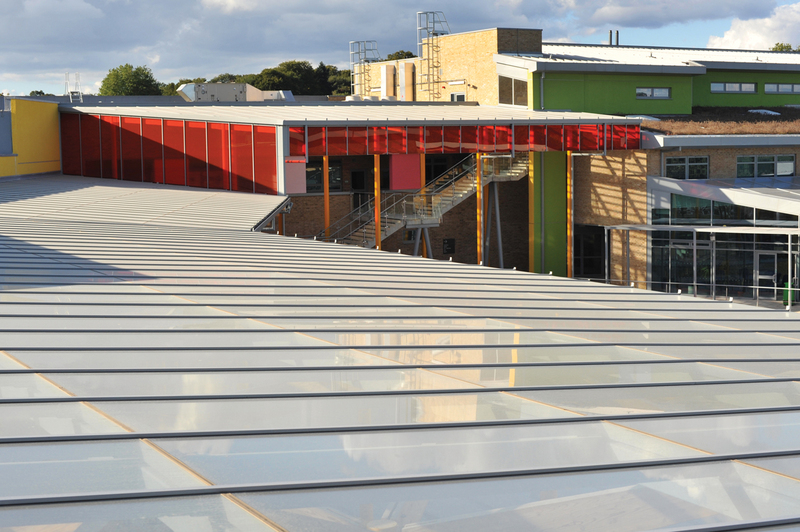 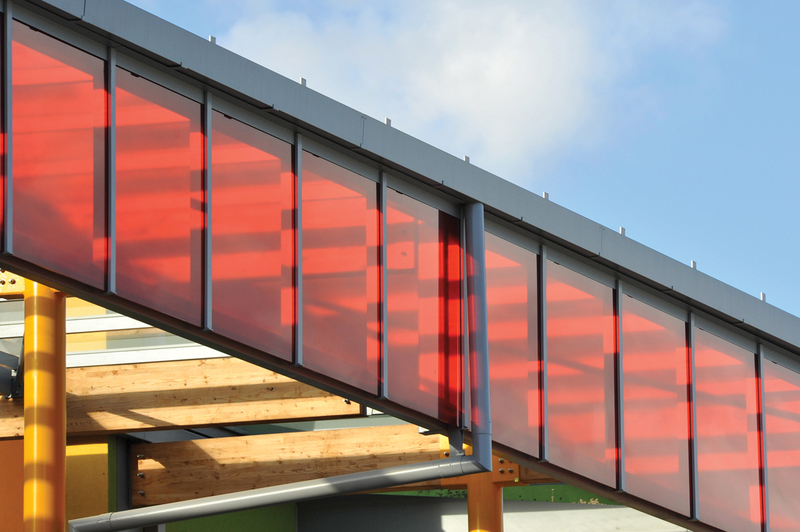 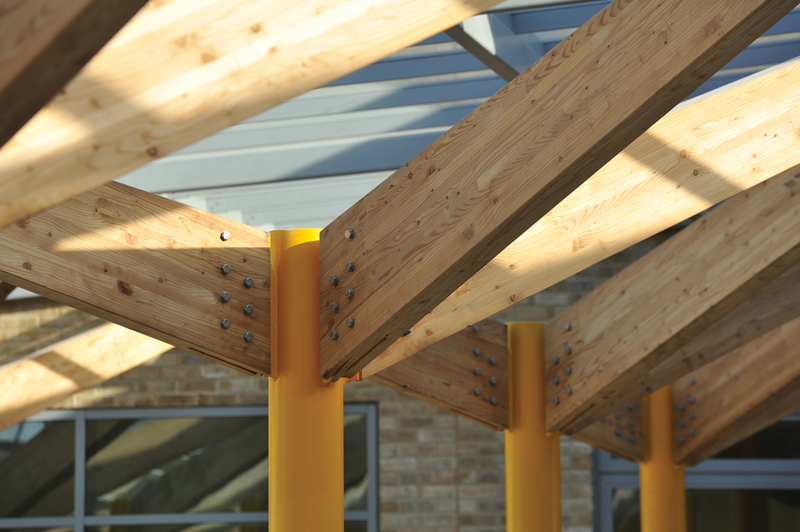 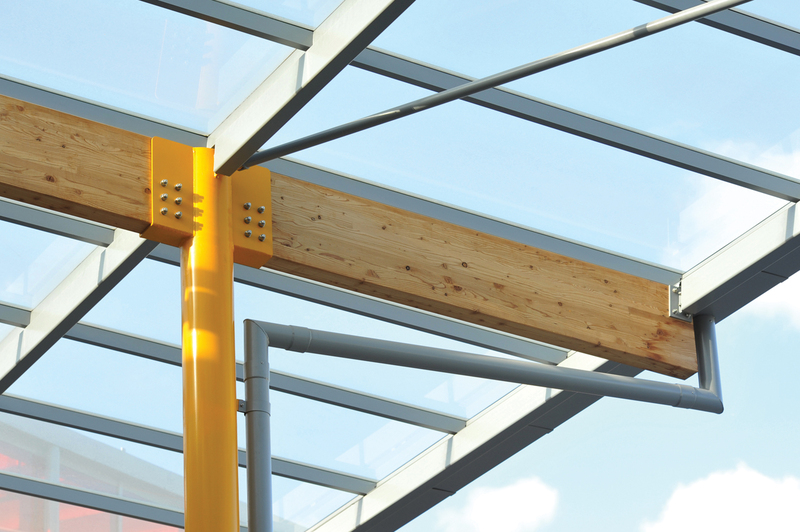 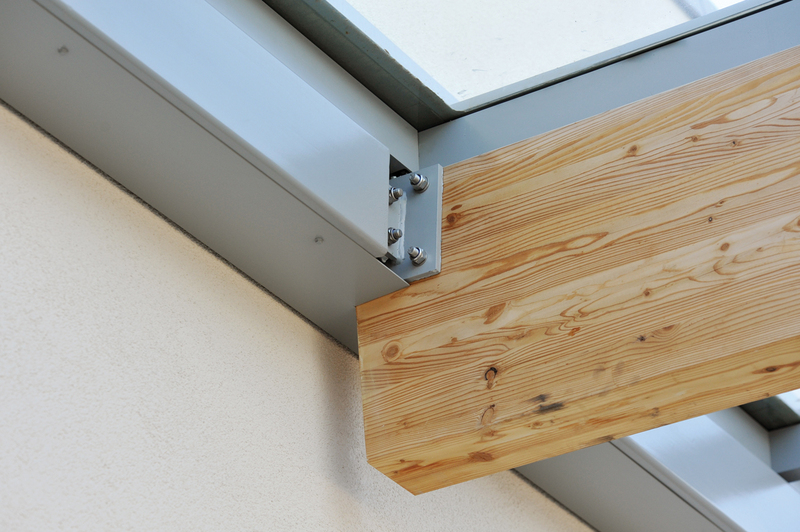 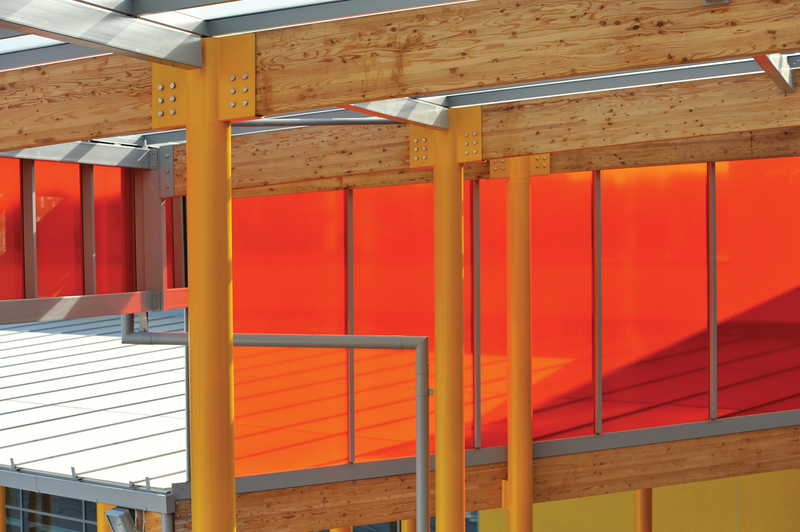 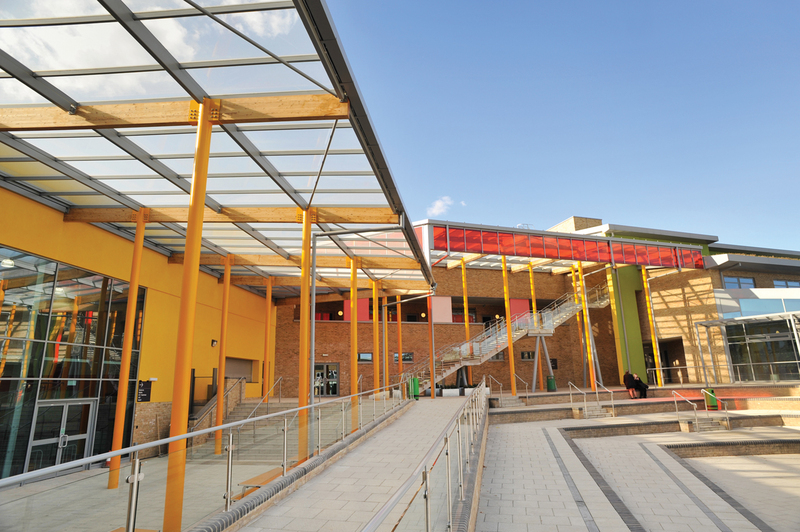 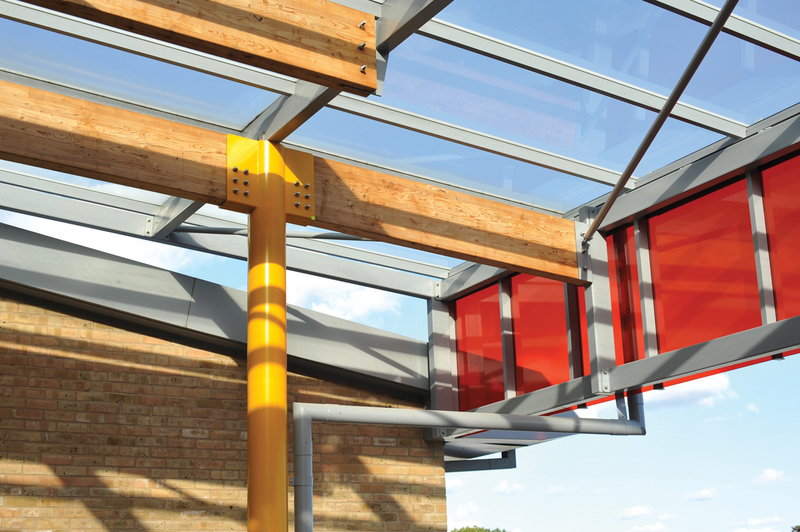 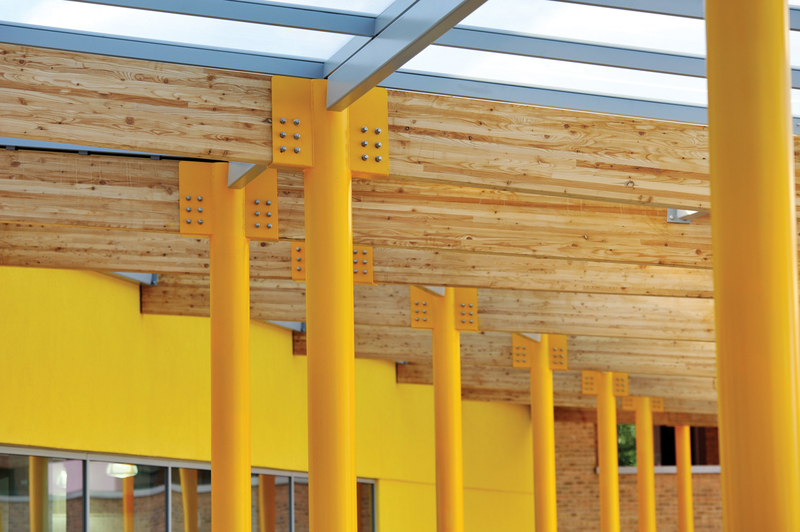 Broxap worked with Kier Southern’s scheme designers, ACP (Architects Co-Partnership), bringing architect Behrouz Shomali’s initial concept to life, whilst adding value engineering solutions on alternative materials and offering more durable finishes. 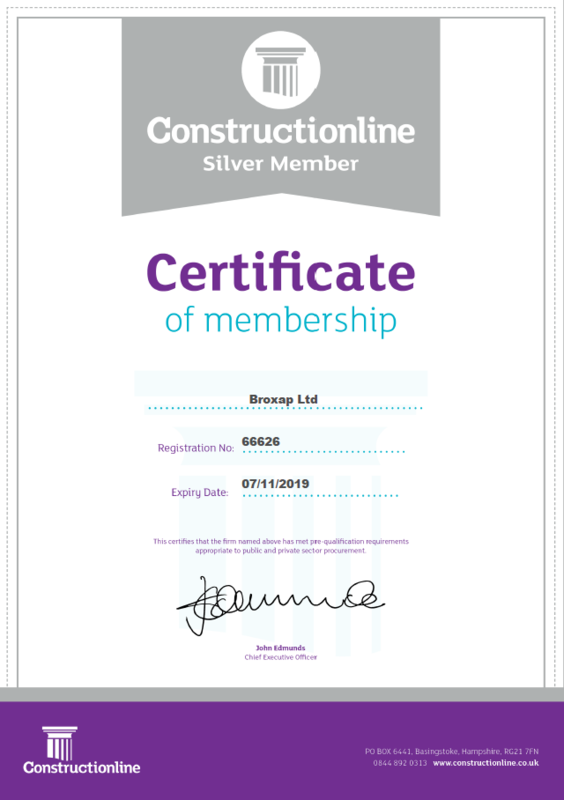 Kier project manager Peter Dixon personally complimented and thanked the Broxap contracts team for their work on the project. 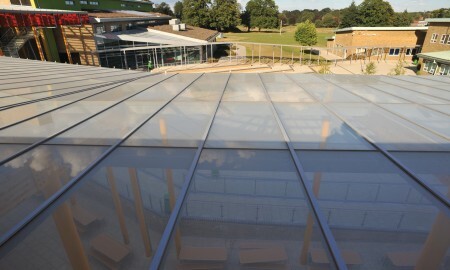 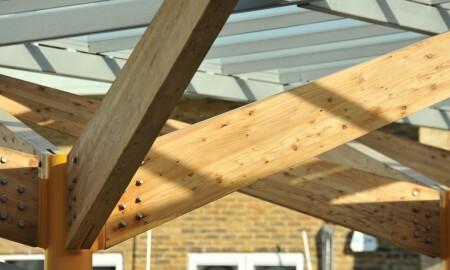 Being unable to harmonise the cost plan against the quotations received, Kier turned to Broxap for a solution. 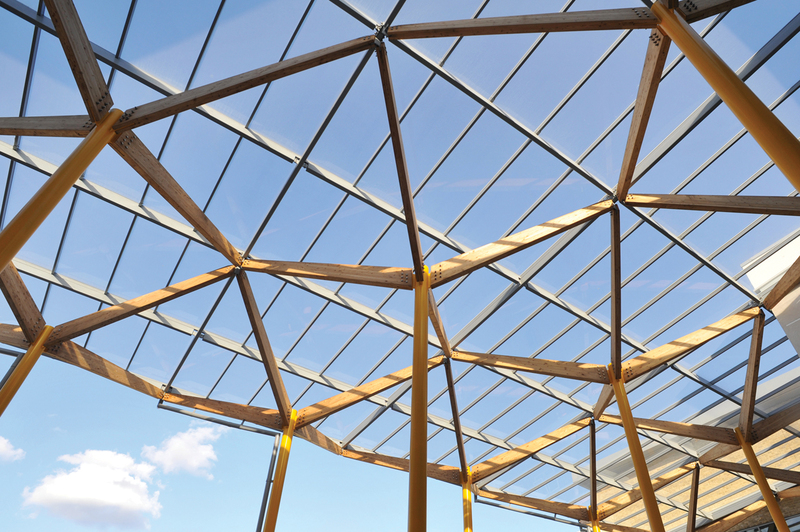 As part of our proposal, we provided samples and interactive 3D models of our intended engineered solution, so that Kier and their designers would demonstrate to the client the intended solution. 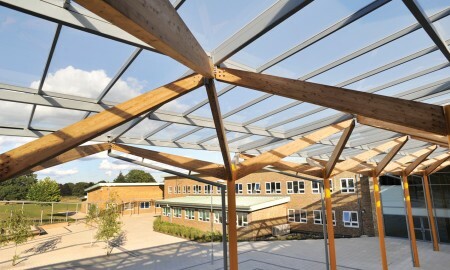 With the first phase being installed within 6 weeks, the impressive installation was completed on-time and within budget.